All the points below may sound negative about North Korea, and they are, because of what we have heard from defectors or others. If we had not heard those things, perhaps we may have not thought the way we think. Upon arriving at Pyongyang airport (FNJ), your bags will be opened and everything will be checked. You’re asked to unfold every piece of clothing, remove everything from your toiletries bag, everything! But nothing at all at exit. No photos check, no bag check at exit. They do not stamp your passport at all. 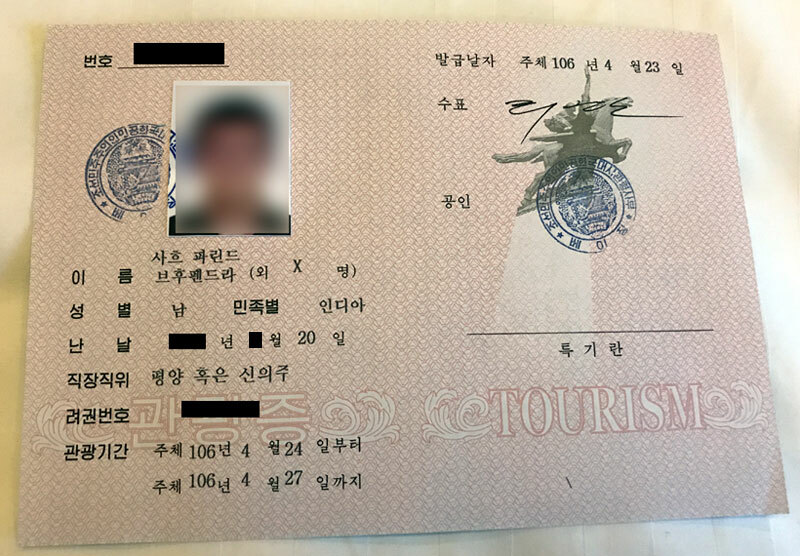 You’re given a visa card before departing for DPRK. After clearing customs,you’ll meet your local guides and they will keep your visa card and passport for the duration of your trip, giving it back to you at the airport for departure. We were told that we needed exit permits to leave the country, which makes me wonder why take away passports? Just take the visa card away because we won’t be able to leave without that. They have rules about pictures, wandering alone, etc., but not as much as we have heard in the media. You can freely take photos as long as you follow some basic rules – absolutely no photos of soldiers anywhere, take full photos of leaders and not just their zoomed-out faces, ask locals before photos unless they are in groups, no photos of construction sites since they are mainly built by soldiers. The people seem to be poor, very poor. Everyone rides their bikes, and no one owns a car. I saw cars only in Pyongyang and nowhere else! 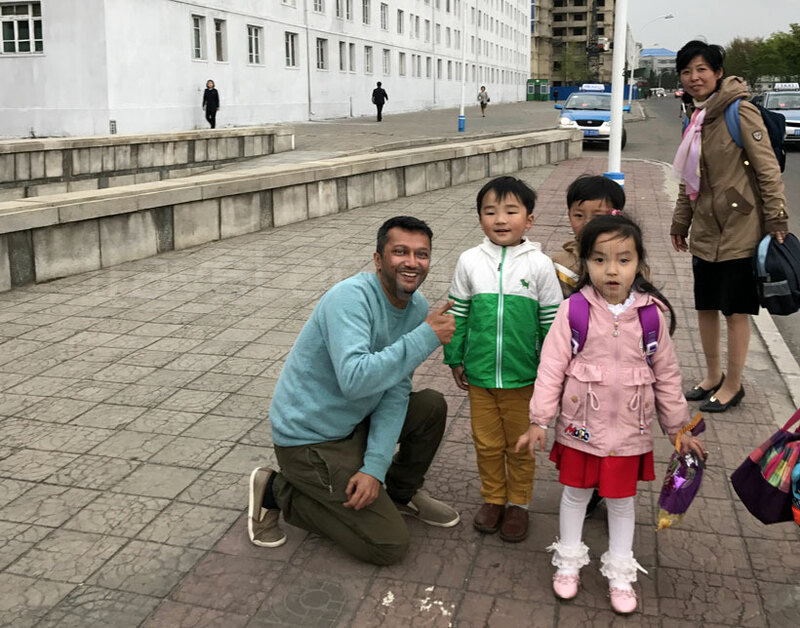 I asked about the cars that I saw in Pyongyang and was told that they belong to either the government employees or foreigners. 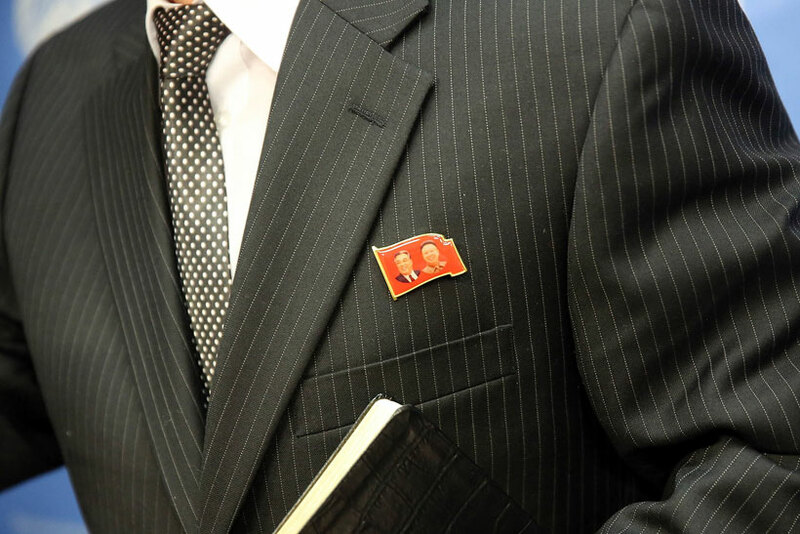 Everyone wears a pin that shows either face of one leader or both. I asked the local guide if it was mandated by the government and she replied with “no. But we wear it out of respect.” So I asked what happens if you don’t wear it. She said nothing happens. Which was obvious that they are definitely mandated to wear that pin and possibly summoned if they don’t. That was great for me so I could differentiate between local and foreigners! 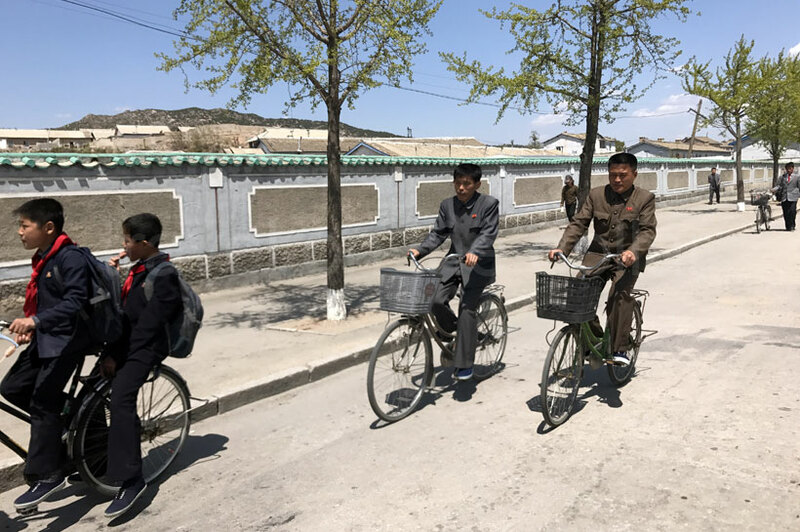 I did not see a single animal or a bird in Pyongyang or Kaesong. Not a bird too. Which was creepy! Every single man wears black or grey suits. I didn’t see anyone with a different color except white. Women are dressed in bland colors as well. Locals don’t smile. Locals don’t talk. Locals don’t wanna take any pictures with you even after asking. Soldiers are everywhere. They build, they construct and they farm. 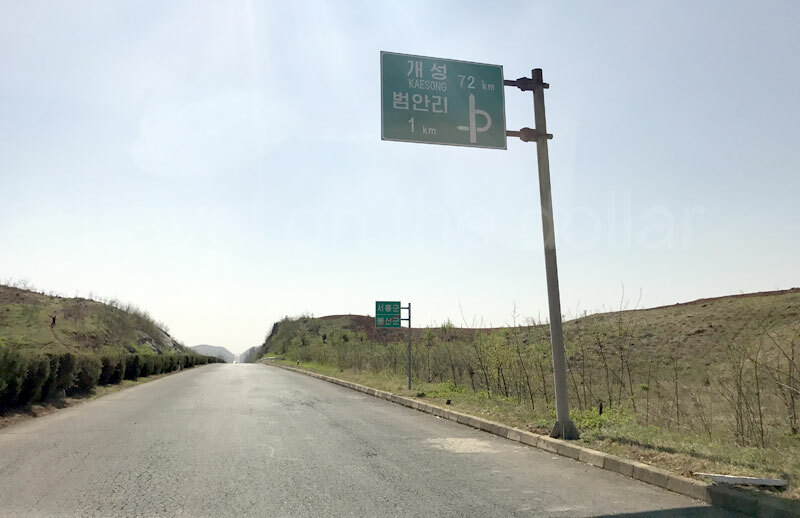 Roads in Pyongyang and Kaesong are great but outside of the city, including highways are in terrible conditions! You can see observers everywhere. They will always be around you and your guides in different forms. At least they seemed like that. When asked about their religion, my local guide said “we don’t practice any religion. We are aethist and we respect our leaders.” Which makes you believe that their leaders are their gods! You won’t see any places of worship! None. 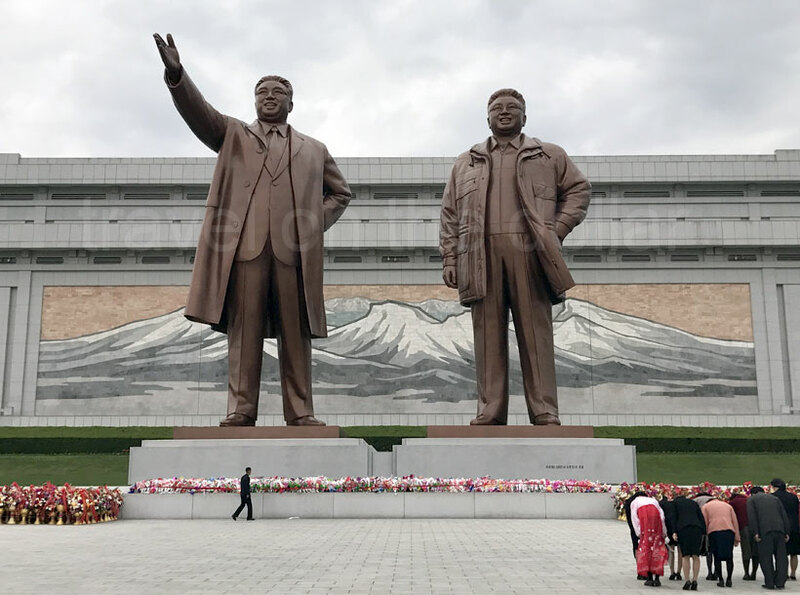 Every single portrait or statue of their leaders are perfectly aligned for the past two leaders – Kim Il Sung and Kim Jong Il. 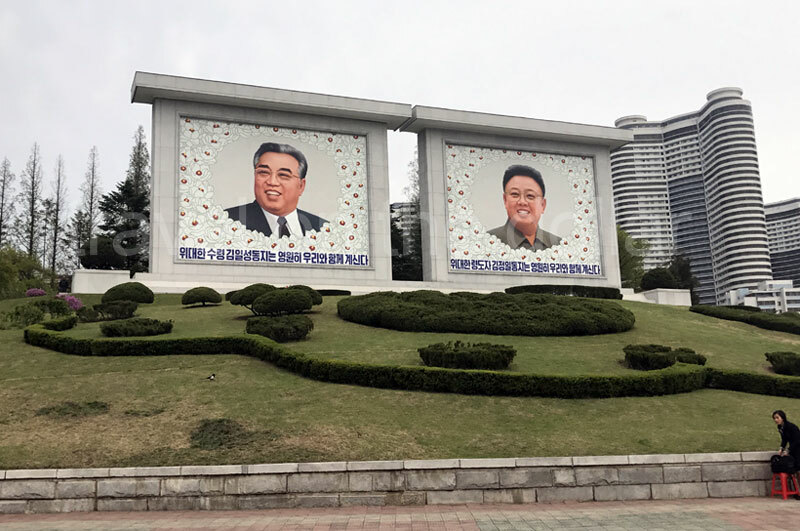 Since they call their leaders as “president” (Kim Il Sung), then “general” (Kim Jong Il) and now the “marshal” (Kim Jong Un), what would the next in line be called, we were told “we don’t think that because we want our marshal to live long.” So what about hundred years from now is what we asked? There was silence. I was asked what world media thinks of DPRK. To be on the safe side and not to “insult” their leaders, I replied with a “you don’t wanna know!” And next question was “is US going to bomb our country?” I again remained silent! There is no internet or wifi in the country. None whatsoever. Even our local guides had smartphones without internet. The only cellular network you’ll get is when you’re at DMZ. That too from South Korea. 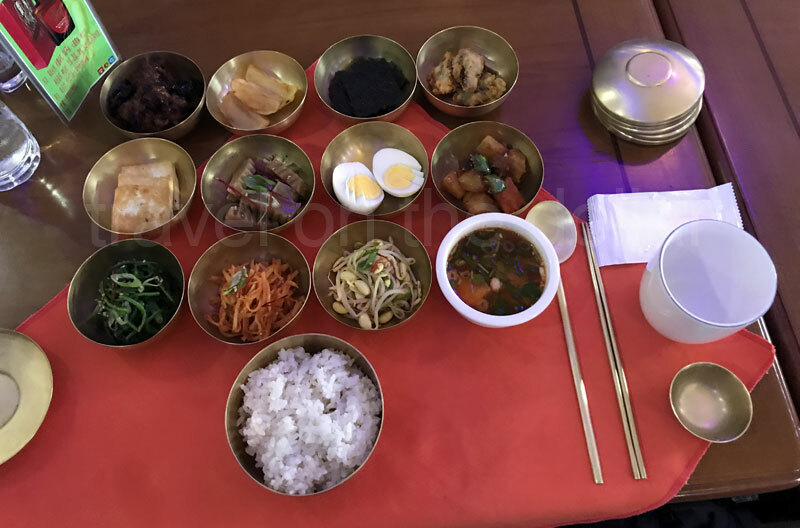 The food – all tourists are taken to different restaurants (at the same time) for lunch and dinner; and the food is just great! And lots of it. They keep bringing more and more food which was impossible to consume. 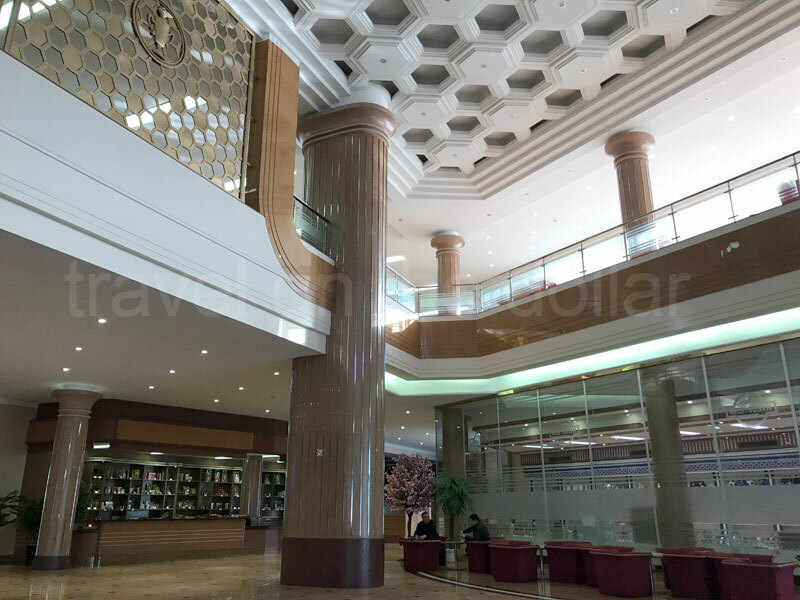 The hotel (Sosan Hotel) we stayed at was great. Very modern and newly renovated. Beds were comfortable and bathrooms were clean. But the water was almost always yellow in color and when you turn on the hot shower, a black, thick sludge of mud comes out first, followed by the yellow water. No, I didn’t have a shower! The breakfast at the hotel was terrible, which is an understatement! You cannot exchange currency to Korean Won. Only acceptable currencies for all purchases are EUR, USD or CNY. The only place you’ll see Korean Won is at the supermarket. You’re allowed to get the local currency and spend it there. And not allowed to carry it outside the store. All tips to guides must be given in one of those three currencies, preferably CNY. For groceries, you will taken to one supermarket on one of the days of your tour where you can purchase all your groceries. But your hotel is well equipped with day to day groceries like chips, water and toiletries. In my opinion, when this whole regime falls, it’s gonna be a huge mess and I agree with South Korea that they don’t wanna deal with this. Perhaps the military will take over and make it worse for the people, which is sadder. Or who knows what will happen. But I’ll say this – any country wanting to bomb North Korea must think twice because of the poor locals. They have everything to lose.